Time might not heal all wounds, but it can take care of a lot of them. As a Red Sox fan, I can attest there have been plenty of wounds inflicted on us in various Septembers and Octobers. And I can also say that the World Series titles of 2004, 2007 and 2013 have eased a whole lot of pain. You would think there would be nothing painful left. After claiming to want to see just one World Series title before we die, Red Sox fans can rank the recent championships inGold, Silver and Bronze. And many clips that have been painful to look at in the past no longer make me cringe. Some failures seemed to set up a victory as a prelude. Seeing Grady Little leave Pedro in for too long and Aaron Boone homering in extra innings no longer makes me queasy. The 2003 ALCS loss set up the celebration of 2004. Someone linked me a video clip of Carl Crawford falling down and the winning run scoring during the season finale of 2011 with the caption “Something to make every Red Sox fan cry.” Nope. 2011 is just prologue for the Boston Strong title of 2013. But despite three titles and Dombrowski putting together a new contender, there are still a pair of games that make me shudder. Deep to left… Yastrzemski will not get it. It’s a home run! A three run home run by Bucky Dent and the Yankees now lead it by a score of three to two. A little roller along first… BEHIND THE BAG! It gets through Buckner! Here comes Knight and the Mets win it! 1978 and 1986 still hurt. Maybe not as badly as they did before Dave Roberts stole second. But they still sting. Now before I continue, let me make something perfectly clear. 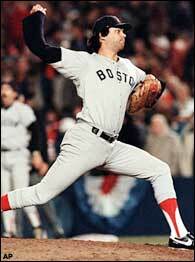 I am simply showing the Buckner error as a shorthand of everything painful about 1986. Please read the next sentence carefully. I AM NOT BLAMING BILL BUCKNER FOR THE 1986 WORLD SERIES! In fact I believe the Buckner error is the single most overrated play in baseball history. If he had made the play, the Red Sox would not have won the World Series then. The game was already tied on the underrated wild pitch. And the play did not clinch the World Series for the Mets. It tied the series at 3 and the Red Sox took a 3-0 lead in Game 7, which they ultimately lost. But why have the scars of 1978 and 1986 not completely healed? For me, the cringe worthy factors for both years come from not only how close both teams came to becoming THE beloved team of Boston history, but who could have cemented their legacies with a Red Sox championship. Look at the recent dismantling of the 2013 Champs. Sure there were a few beloved homegrown mainstays who departed, like Jacoby Ellsbury and Jon Lester. But most of the outgoing champion Sox were short timers, like Mike Napoli, Shane Victorino, Jonny Gomes, Stephen Drew or David Ross. Now take the 1978 team. Had they won the World Series that year, imagine the parade of all time beloved Red Sox who would have been crowned instantly. Carl Yastrzemski? The Captain has his title. 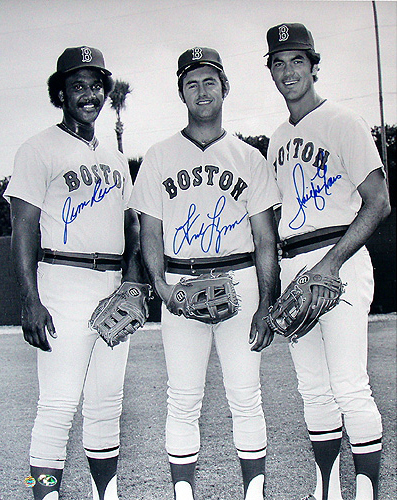 Jim Rice, Fred Lynn and Dwight Evans… the best Red Sox outfield in history? Come get your rings. 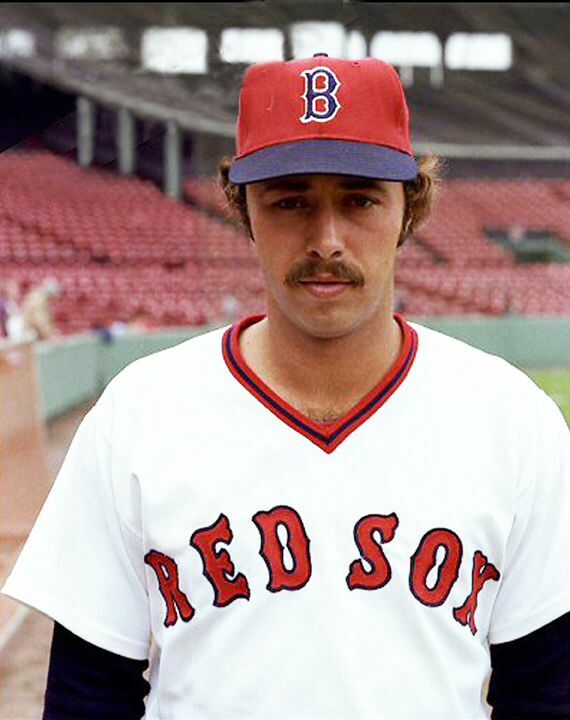 A pair of future Red Sox broadcasters, Jerry Remy and Bob Montgomery, would be able to tell stories about their title. Fan favorites like George Scott, Rick Burleson and my personal favorite Butch Hobson would be able to have their crowning achievements. And perhaps Dennis Eckersley’s Hall of Fame career would have kicked into full gear before his transformation in Oakland. That is a galaxy of beloved Red Sox stars, whose legacy would stretch from the 1967 Impossible Dream to Eckersley being teammates with Pedro, Mo and Nomar in 1998. It would take the sting out of 1975 (and make that simply prologue for the glories of 1978) and give so many legends a chance to have their greatest moment. Also it would have driven George Steinbrenner bananas. Instead Don Zimmer managed the team like someone who was in mid panic, the Yankees pulled off the four game sweep and then there was the Bucky Dent game. Remember, the Red Sox rallied and had the winning runs on base in the bottom of the 9th. 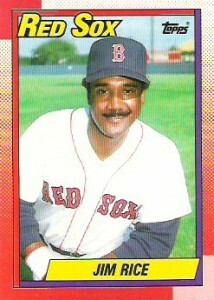 Jim Rice hit a deep fly which if it went out, the Red Sox would head to the playoffs and probably win it all. Yaz of course popped out. And 1978, instead of being the team that becomes the unquestionably most beloved team in the history of Boston sports, became a crushing reminder of what was not to be. The frustration over the 1986 squad is less about a beloved team and more about some legacies that were forever tainted by Games 6 and 7 of the World Series. By all accounts, the 1986 squad was not a cute and cuddly bunch. They were the proverbial “24 players, 24 cabs” crew. But they also could pitch, hit and field and in the 1986 ALCS, they showed they had heart as well. Down 3-1 in the series and trailing by 3 in the 9th inning of Game 5, the Red Sox looked like they were going to be a forgotten division winner to the Angels. But then Gene Mauch over managed, as only Gene Mauch could do. A Dave Henderson homer and some clutch pitching from Steve Crawford later, the Sox were alive. Then they blew out the Angels in Games 6 and 7. This Red Sox team was different. They stared down defeat and beat it. Had the last out had been made in World Series Game 6 (if only Carter, Mitchell, Knight or Wilson had popped up, grounded out or something) the team that became synonymous with choking would represent the exact opposite. But beyond the stigma of losing the series, a reversal of fortune in 1986 would have forever changed the legacy of 7 baseball figures. 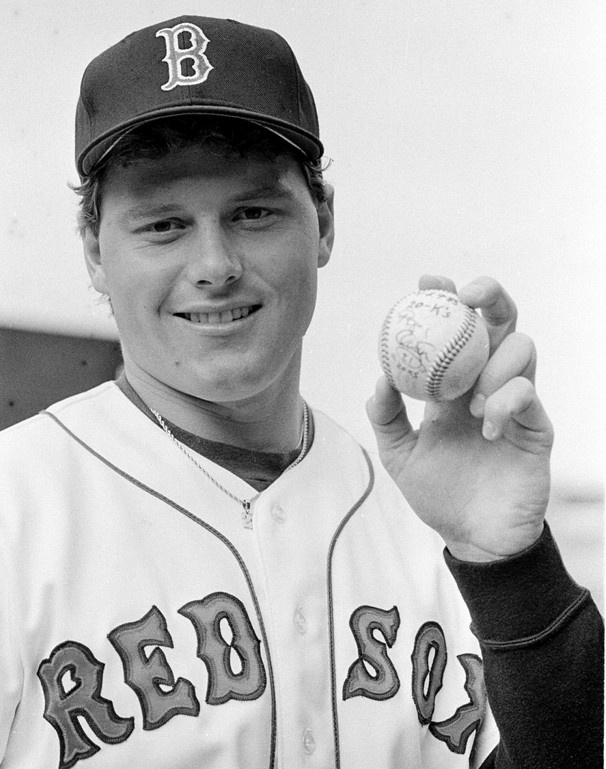 Roger Clemens would have eclipsed Larry Bird as the biggest sports figure in Boston. Bird was a legend. But Clemens would have done the impossible. After years and years of seeing all hit, no pitch Red Sox teams fall short, Clemens would be seen as the great leader of the team, the man who delivered what so many other stars could not. Maybe as a beloved Red Sox champion he does not leave bitter in 1996. Maybe he does not balloon up in the late 1990s. Maybe his legacy isn’t altered. 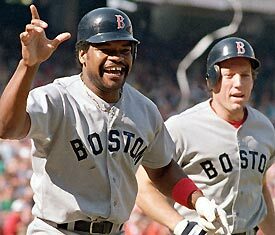 Maybe 21 is retired and the debate of who was the biggest figure in Boston sports of the 1980s would be between Roger and Larry. 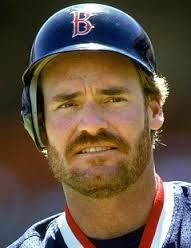 Wade Boggs would have cemented his legacy early as one of the greats in Red Sox history. He still became that, but his number isn’t retired at Fenway and there has been super tension between the best hitter of his generation and the team he came within a strike of leading to the promised land. 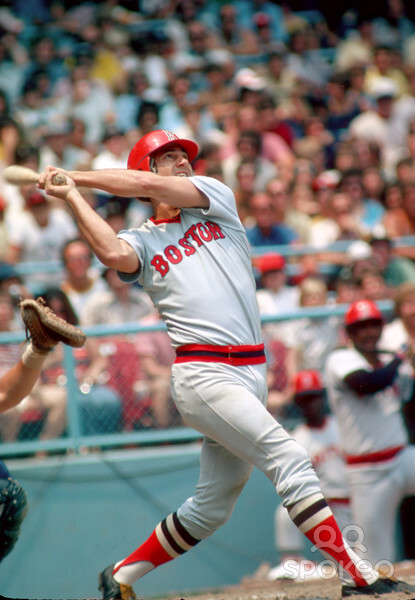 Dwight Evans, the lone active player who appeared in both the 1975 and 1986 World Series, would be more than just a beloved former Red Sox. With a World Series title, people might examine his career a little more closely and see his Cooperstown case is actually compelling. His Hall of Fame candidacy was 3 years and out and never made much of a dent. With a World Series title, he might have stuck around on the ballot for a few more years, maybe long enough for the advanced metrics voters to see his combination of power, on base and defense made him more valuable than people may have realized. Who knows? 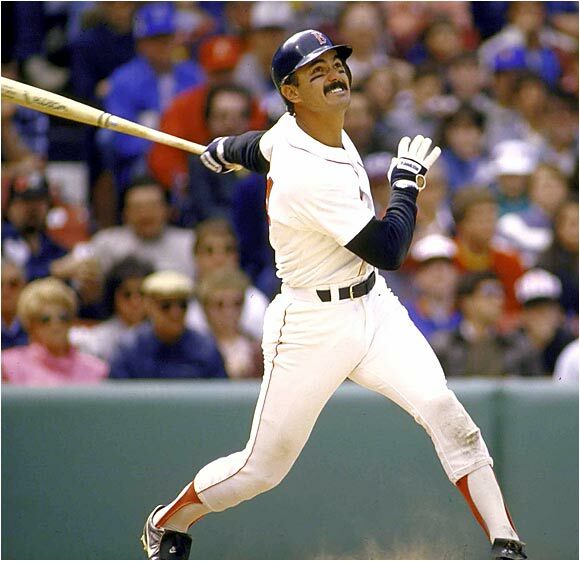 If Gary Carter, Kevin Mitchell, Ray Knight or Mookie Wilson popped up, Dwight Evans might be in the Hall of Fame. Bob Stanley threw the wild pitch that tied the game and served up the Mookie Wilson grounder. He had 2 strikes on Mookie before the wild pitch and saw what seemed like 47,000 pitches fouled off. The image on everyone’s wall, locker and poster in every kid’s bedroom would be Bob Stanley jumping in the air, a Red Sox champion. The two time All Star would be a beloved figure, his stockiness adding to his charm instead of fueling people’s frustration. John McNamara’s legacy in Boston is Grady Little-esque. He is thought of as a manager who dozed off during spring training games and made some boneheaded decisions in big moments. Not replacing Bill Buckner for Dave Stapleton defensively in Game 6 (as he had in every other post season victory) did not crack the the top 10 of strange decisions he made. Many people, including the author of this post, blamed him more than any player for the World Series loss. But had that last out been made, it would have been the defining achievement of a baseball lifer who was beloved by many of his players. Reggie Jackson called him his favorite manager after his turns in both Oakland and California. Tom Seaver, who played under McNamara in Cincinnati, swore by him. Mike LaCoss, a guest on my podcast, described him as a calm father figure. Imagine if a nice Irish Catholic man who spent his life in baseball had won the title in Boston. He would be asked to speak at every Knights of Columbus meeting in New England from now to the end of time. Even casual fans know who Bill Buckner is. 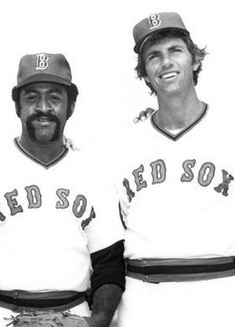 No name ever became a quicker short hand for Red Sox ineptitude than Buckner. And as the years went by, the significance of his error grew with a false narrative. “If Bill Buckner had made that play, the Red Sox would have won the World Series!” Untrue. “With that error, the Mets won the World Series!” Untrue. For years, anyone who saw I was a Red Sox fan felt they could get my goat simply by saying “BUCK-NAH!” Even Red Sox fans, who initially blamed Schraldi and McNamara and Stanley, turned on him. Fenway gave Buckner a standing ovation in 1990 when he returned to the club after stints with the Angels and Royals. But as the memories of 1986 became fuzzier and his blame was erroneously increased, Buckner moved away from New England. But if that last out was made, what would be Bill Buckner’s legacy? He would have collected 2,714 hits over his 20 seasons in the majors. Buckner was an All Star and a batting champion. Twice he led the league in doubles. 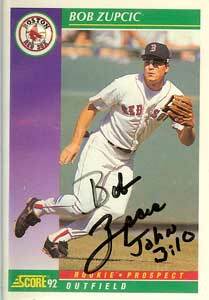 He drove in 102 runs for the Red Sox in 1986 and joined Wade Boggs and Rich Gedman in giving left handed balance to the lineup with the right handed Marty Barrett, Don Baylor, Tony Armas and Jim Rice. Yes, his ankles were hurt and he was hobbled, but the sight of him playing through the pain would have made him a hero. 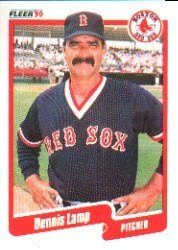 With the last out, Bill Buckner would have represented everything great and worth admiring about the 1986 Red Sox. 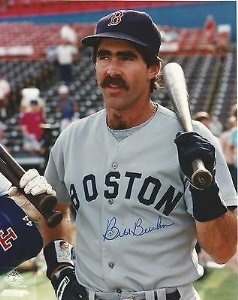 Bill Buckner would represent heart and being a winner. Alas, the fan base moves on, hoping to see a fourth World Series title in our lifetimes. It would have been nice if some of these great names could have been part of a World Series celebration. 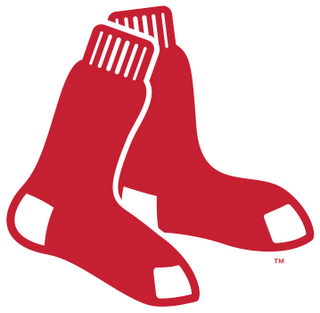 I root for the Red Sox no matter whom they play and no matter what stiff they suit up in a uniform. Sometimes it has been hard to root for some players in a Sox uniform… but I find a way to do it. I couldn’t stand J. D. Drew when he was with St. Louis, Atlanta and Los Angeles and I didn’t want the Red Sox to sign him… but when he hit that grand slam in the 2007 ALCS, I became his biggest fan. Sometimes I WANT to root hard for a player when he arrived in Boston, but they just flop. Tony Clark and John Smoltz come to mind there. But there are some players I just never liked. They wore the jersey and when they did something good, I cheered. But I dreaded seeing their name in the lineup or watching them warm up on the mound. So, being Sully Baseball, I decided to come up with a 25 man roster of players that I just couldn’t get behind, even though they played for my team. Now I will make my 2004 and 2007 notation here. I can never say a bad thing about a member of either of those teams. As I said before, you win a ring in a Red Sox uniform it makes you exempt from being on my bad side. 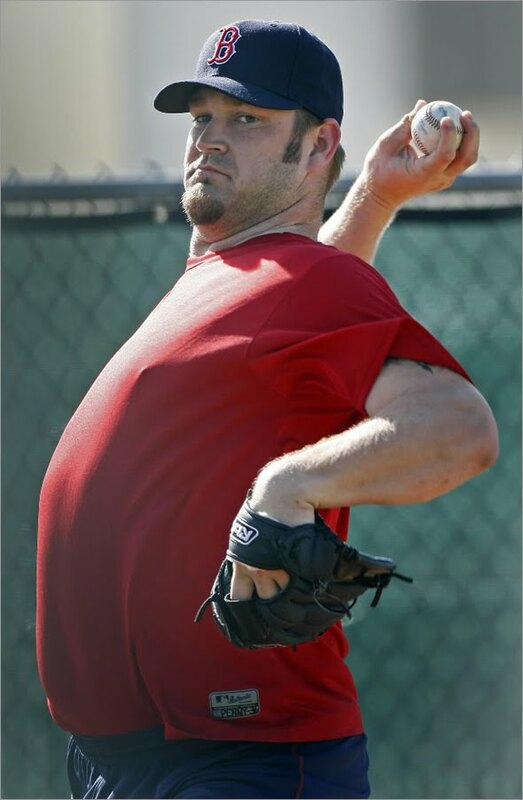 That’s good news for Eric Gagne, B.K. Kim, Julio Lugo, Javier Lopez and Ramiro Mendoza who would all be locks for this roster if ’04 or ’07 fell short. And I am not talking about the Ungraceful Exit Red Sox, players like Manny or Damon or Clemens whom I loved while they played with the Sox and left on not the best terms. And you will note that I do NOT have Bill Buckner here. He was a great Red Sox player and should be thought as such. These are the players I didn’t like THEN and I don’t reminisce about NOW! As with all of my rosters, I have a starting 9 in the lineup… a 5 man rotation… a 5 man bullpen… a 5 man bench… and a 25th player who could be a position player or a pitcher. A Massachusetts born catcher named Sullivan was not embraced by ME? 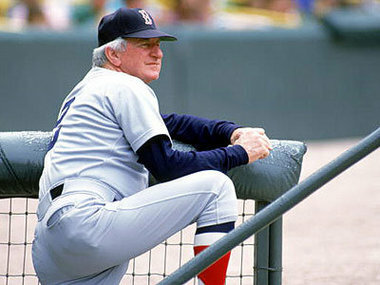 I, Sully, was living in Massachusetts when he played for the Sox. You’d think I’d be his biggest fan. But Marc was the son of GM Heywood Sullivan and there was a sense that his dad was the only reason he had a job in the big leagues. 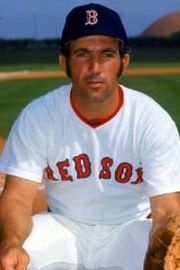 And at the height of collusion, the Red Sox wouldn’t resign their OTHER Massachusetts native catcher, All Star Rich Gedman. Instead the GM’s son got the job. The career .186 hitter stunk and the Red Sox brought back Gedman, but his career never recovered from collusion. THAT Sully was never embraced by THIS Sully. 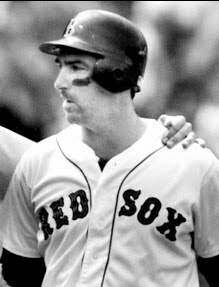 Another classic Yawkey era pick up… a white guy with right handed power and no ability to field, Clark joined the team as a DH/First Baseman before the 1991 season. And his signing made Red Sox legend Dwight Evans expendable. Dewey finished his career as an Oriole and the Red Sox got one OK season and one injury plagued terrible season before his career ended and his car payment piled up. 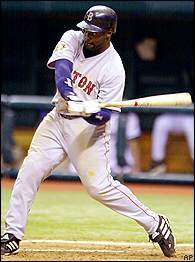 When Mo Vaughn skedaddled to Anaheim after the 1998 playoffs, Offerman came to Boston, I guess to replace Mo. It never made sense then and didn’t make sense now. 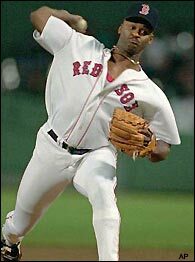 Stunningly he made an All Star team as a member of the Sox, but by the second half of 1999, he was a liability. Always a poor defender, he became E-fferman. When his offense soured, he became O-For-Man. And by the end he was simply Awful-Man. The Sox cut him and eventually he ended a member of the Bridgeport Bluefish where he was arrested for hitting an opposing pitcher with a bat. Good guy. Someday, someone will confirm why the Red Sox never resigned Orlando Cabrera. He fit perfectly in the Red Sox lineup and made the defense solid. But something happened (a rumor was he made advances on the daughter of a front office man) but the long and short of it was the Sox got Edgar Renteria in his place. The number crunchers told us it was a good move. Stat heads said he was an improvement. People who actually interacted with him predicted he was too shy and reserved to handle Boston. As usual, people who use their eyes and brains were right and people who used calculators were wrong. 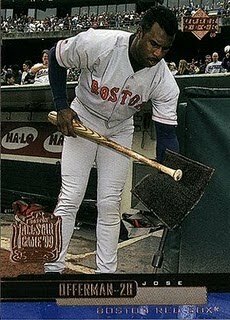 His defense was dreadful and his bat was inconsistent and he seemed to hate Boston from day one. The hatred was mutual. He ended the 2005 playoffs with a grounder and was mercifully traded in the offseason. Scott Cooper was a two time All Star. Doesn’t that look strange when you see it in print like that? Kirk Gibson was NEVER named to an All Star team and yet this guy made two teams. He never batted .290. His OPS never reached .800. He never hit more than 13 homers. He never drove in more than 63 runs. He was always among the league leaders for errors by a third baseman. Yet he made two All Star Teams. Oh yeah, the Red Sox wanted to keep HIM instead of Jeff Bagwell when they made the Larry Andersen deal. Well why not? He was a two time All Star! A lot of these players were rotten on the field, but who knows what they were like as men? Wil Cordero proved he was pretty much an a—hole off the field. The one time Montreal All Star came over to the Sox to be a second baseman… and he was so awful defensively that they stuck him in the outfield where he held his own in the dreadful 1997 season. Like Offerman and Cooper, Everett actually made the All Star team as a member of the Red Sox. In fact his 2000 season was a solid all around season. He just was insane. And while it was fun to have two insane outfielders for a while (remember he played with Manny in 2001), the act wore thin. It was funny to hear him deny the existence of dinosaurs and the moon landing. It was less funny to see him get suspended for headbutting umpires. No player better symbolized the Red Sox’s unpleasant 2001 season than Jurassic Carl. For no fault of his own, I associate Zupcic with a moment of bigotry that I experienced back in 1993. I was visiting the home of my then girlfriend in Massachusetts when I struck up a conversation with one of her uncles about the Red Sox. At the time, Zupcic, then in his second and final full season in the bigs was a mediocre hitter with no power. The former first round pick was fizzling out as a dud. I told him he was full of crap and shortly afterward I was no longer dating his niece. 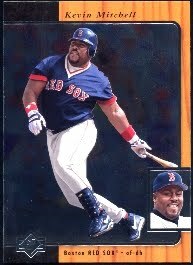 Sorry Bob… you were no Mo Vaughn. 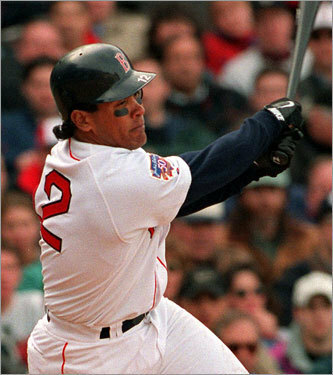 I was going to put Jose Canseco here, but truth be told, I kind of liked Canseco when he was with the Red Sox. He was fun to root for. Kevin Mitchell… not so much. 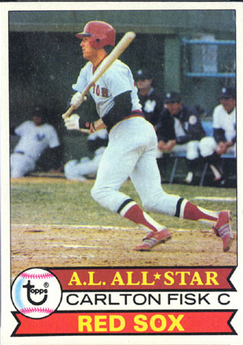 It didn’t help matters that he brought up memories of his 1986 World Series prolonging single in the 10th inning off of Schraldi and scoring on the Wild Pitch… But he gave the Red Sox NOTHING in his 1/2 season in Fenway. No power, no production and no consistency. Not even a cool injury story, like the time he chipped his tooth biting on a stale donut. 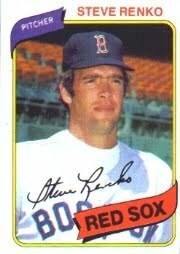 Renko has the distinction of being the first Red Sox player who ever gave me an underwhelming sensation. 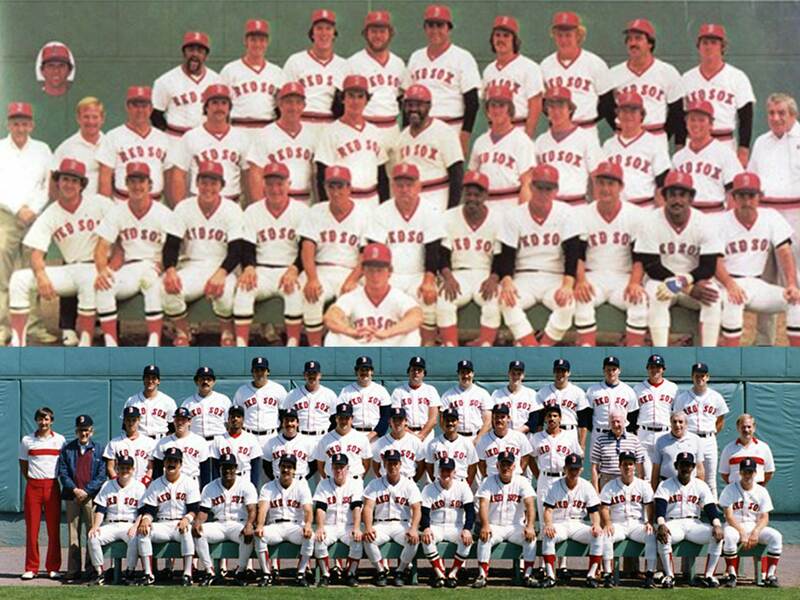 I truly started following the Red Sox day by day in 1979, but I remember the players in 1978, if not the season. 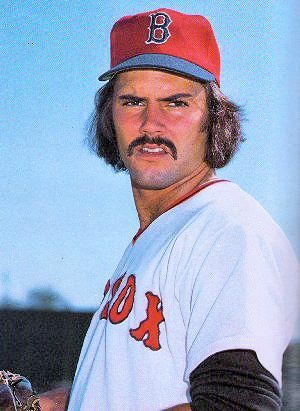 I remember Bill Lee and Luis Tiant as starting pitchers… and when they left after the 1978 Bucky Dent playoff, one of the pitchers brought in to replace them was Steve Renko. 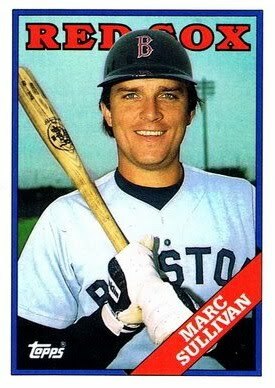 He was a pitcher that just screamed “blah” even to a 7 year old Paul Sullivan. Not bad and not great. Just a boring guy who will win some, lose some and offer nothing resembling excitement. When I would ask “Who is pitching?” if the answer was “Steve Renko”my shoulders would slump. It was my first step into a larger pessimistic world. It never seemed right, did it? I mean he won some games with the Red Sox, but he seemed like he didn’t want to be in Boston and we Sox fans weren’t 100% comfortable with him pitching for us. He was a great character and had more terrific seasons that you probably realize, but Wells was a Yankee in Red Sox clothing. And when he blew a lead in the 2005 playoffs, he cemented his legacy in Boston as a guy who was just marking time. 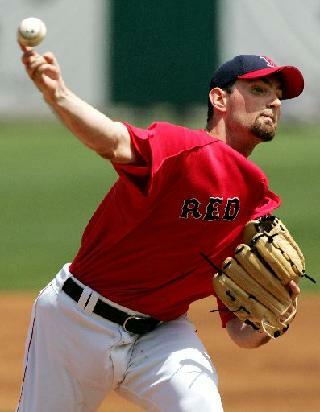 Matt Clement was an All Star with the Red Sox. Again, seeing stuff like that in writing is just surreal. Let me address one misconception about Clement. There seems to be a thought that he was having a great year and then he was hit in the face by a pitch and everything fell apart. It’s a nice story, but truth be told, his numbers were going south before he was clobbered in the face. He was brought in to replace Derek Lowe in the rotation after the 2004 World Series and at first it looked great. He started the season 9-1 and was 10-2 at the break. He would win 3 games the rest of the year and his ERA jumped a run and a quarter. He started game 1 of the Division Series and let up 8 runs in 3 1/3 innings and sunk any hope of repeating. Like his last name, Penny was a cheap flier that the Red Sox took a chance on in 2009, hoping to catch lightning in a bottle. The only thing Penny seemed to catch in a bottle was butter milk as he showed up out of shape and injury prone. He was a Cy Young candidate in 2007 and in 2009 got clobbered to a 5.61 ERA, including losing a 20-11 game to the Yankees. He asked for his release. 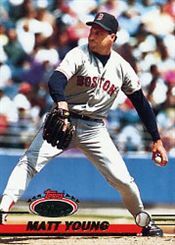 After the 1990 playoffs, the Red Sox signed Young to a 3 year $6 million contract (a big contract in 1990 and one I would gladly accept now) coming off an 18 loss season with the Mariners. His ERA was good in Seattle and GM Lou Gorman said he felt that Young was about to make a turn. He turned alright… right into the toilet. His two years in Boston were dreadful and injury plagued. He didn’t win a game his second year, although he DID lose a game where he threw a complete game no hitter. He was cut before the 3rd and final year of his deal. Kevin Kennedy almost never says a bad thing about anyone on his XM Radio show. But he admitted that he didn’t want the Red Sox to trade for Heathcliff Clocumb before the 1996 season. He was nothing special as a closer his first year, but his second year he was a horror show. His 5.79 ERA as a closer plus a WHIP of 1.971 made him a terrifyingly ineffective closer. But in 1997, someone in Seattle saw SOMETHING positive. 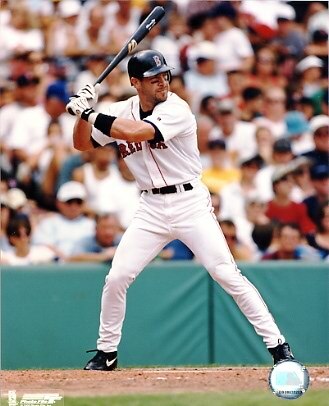 The Sox dealt him to the Mariners for 2 minor leaguers: Derek Lowe and Jason Varitek. It remains one of the most lopsided deals in recent baseball history. Down the stretch in 2003, it seemed like each contending team wanted Pirates lefthander Sauerbeck to shore up their bullpen. The Sox landed him, giving up on future batting champion Freddy Sanchez in the deal. The Sox bullpen did not get relief. Instead they got a lefty who got bombed for a 6.48 ERA with the Sox and made one token mop up role in the post season. Needless to say, Grady Little didn’t think of using him in Game 7. And I must give credit to omgreds.com for the Sauerbeck tongue picture. Mark Clear never had a chance to be loved by me. He came over from the Angels before the 1981 season. Now I don’t remember if he was in the deal that sent Fred Lynn, Rick Burleson or Butch Hobson over to the Angels and I don’t care. 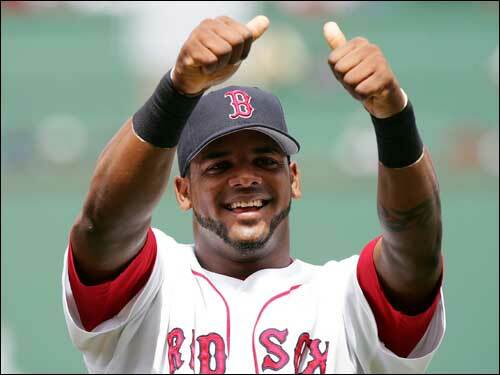 All I know is three of my favorite Red Sox were dealt and Clear was one of the guys we got back. I remember watching Red Sox games with my dad and every time Clear would face a batter, my dad would just say “Ball One” before the first pitch. Inevitably he was right. I almost didn’t put Calvin on this list because I feel so bad for him. He was a talented pitcher who probably shouldn’t have been a closer. But he was. And no player that I ever watched looked more intimidated and more overwhelmed than this guy. I’m talking Little League as well. I am talking Lupus level nerves. Just think, if Gary Carter, Kevin Mitchell or Ray Knight had made an out, he would have been one of the great figures in Boston sports history. When McNamara inexplicably brought him out in the 7th inning of a tied Game 7 of the World Series, everyone knew the game was over. He seems like a nice guy. I just wasn’t sad to see him go. 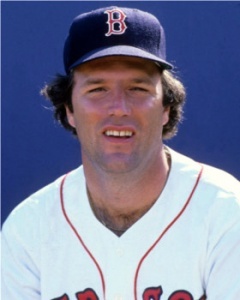 By the time he came to the Red Sox, he was an interchangable part that could have been named Steve Crawford. In Game 1 of the 1990 ALCS, the Sox were down 2-1 in the top of the 9th to the mighty A’s and had the heart of their order coming up in the bottom of the 9th inning. They had a shot to win if the bullpen could hold Oakland. The A’s scored 7 runs that inning, 4 off of Lamp who finished the series with a 108.00 ERA. When Todd Walker was having a historically terrific for a second baseman post season in 2003 (5 homers, a 1.228 OPS in the Division Series and a 1.117 OPS in the ALCS) Grady Little would inexplicably remove him from the lineup in late innings in favor of Damian Jackson. It would make sense if he was a slick fielding second baseman, but he was an average defender at best and certainly not worthing removing such a potent stick. 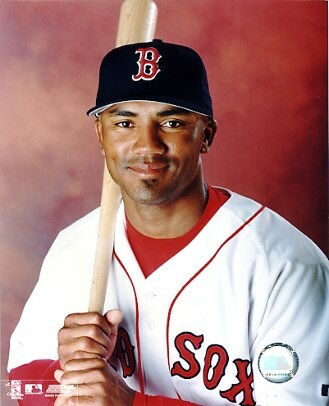 His lone defensive highlight in the 2003 playoffs was colliding with Johnny Damon in Game 5 of the Division Series, forcing Damon to lose games 1 and 2 of the ALCS. It’s safe to say Todd Walker would not have crashed into Damon. Lansing came over from Colorado midway through the 2000 season, just as the Red Sox were realizing how terrible Jose Offerman was. Lansing, who supplied some right handed pop from the second base position with Montreal and Colorado, seemed like a natural to hit in Fenway. He batted .194 and slugged .223 with no homers the rest of the way, forcing Offerman BACK in the lineup. I called up Dibble and Kennedy on XM Radio the second I heard the Red Sox had dealt Bronson Arroyo for Wily Mo Pena. I said the trade stunk then. It did. It still stinks… and I wrote out all the reasons why in 2007. The fact that Arroyo is still winning games in the Reds rotation and Pena is fighting for at bats with the Bridgeport Bluefish shows how awful this deal was. 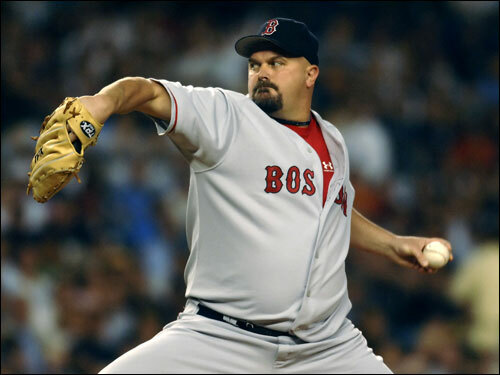 The sight of David Wells with the Sox may have been odd, but he looked as fitting as Ted Williams in a Red Sox uniform compared to Jim Leyritz’s quick trip through Fenway in 1998. He had no position with the Red Sox and didn’t exactly play poorly… it was just odd to see him there. And he didn’t look like he was really enjoying himself in Fenway. By the end of 1999 he was back in the Bronx where he belongs. I didn’t include the pitcher Javy Lopez because of the 2007 rule. 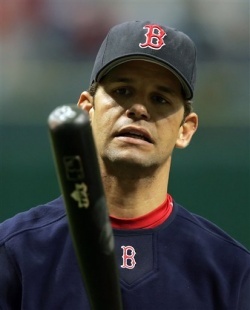 But I’ll include THIS Javy Lopez because of how badly he sucked with the 2006 Red Sox. The Sox were decimated with injuries (sound familiar 2010 Red Sox?) 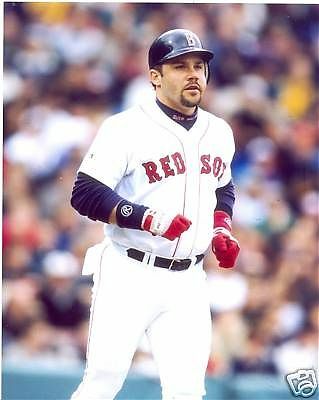 and both Jason Varitek and Doug Mirabelli were on the DL. So the Sox dealt with the Orioles for former All Star and right handed slugger Lopez to fill in. They might as well have had the pitcher Javy Lopez bat. He batted .190, had an OPS of .485 and didn’t hit a homer. When Varitek came off the DL, Lopez was cut… and seeing that he never made another roster, that cut in 2006 ended a wonderful career. It just wasn’t that wonderful in Boston. What would this list be like without the Steamer? It would be incomplete, I’m telling you. As they said in Curse of the Bambino, we all gasped when Stanley came out of the bullpen with 2 outs in the 10th inning of Game 6. And with good reason. Steamer was a 2 time All Star before he signed a big contract to stay in Boston, and evidently spent most of his money at Baby Watson’s Cheesecake in Quincy Market. 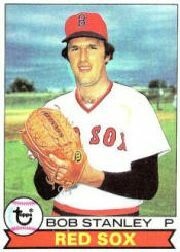 He ballooned up as did his ERA and became a symbol for Red Sox ineptitude on the mound. 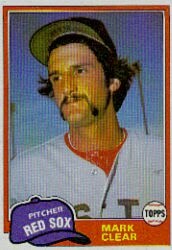 No player in Red Sox history made me grumble with disgust more than Steamer over the years. If he got Mookie out, he would have been a God. Instead he’s just a pudgy guy who drove us all batty. 25 guys… all wore my team’s uniform… all made me happy when they left. And I am sure there will be many more entries to this list in the years to come. If you think I missed anyone, write in the comments section or shoot me an e mail.